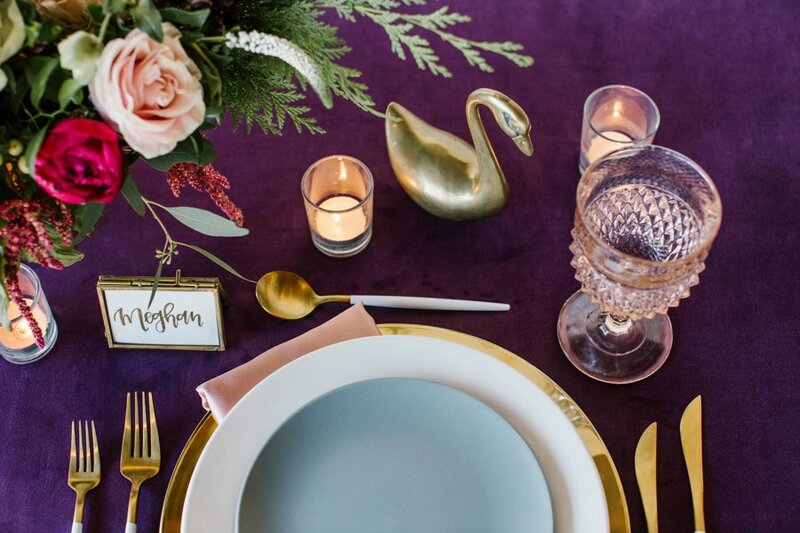 Rich royal colors that remind us of this season of Advent gave a different type of Christmas feel to the next tablescape in our 12 Days of Christmas series. 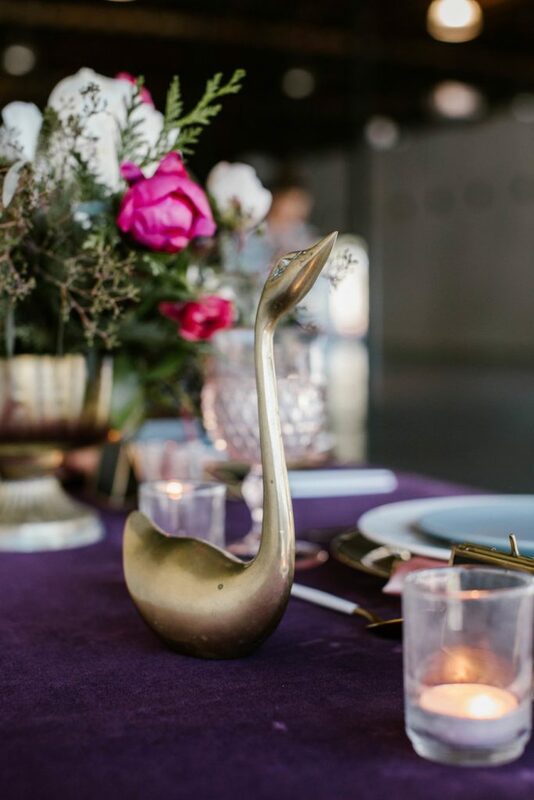 With our roots in Lakeland, Florida, a city known for their connection to swans, the 7 Swans a Swimming has taken a more literal look in the design choices. 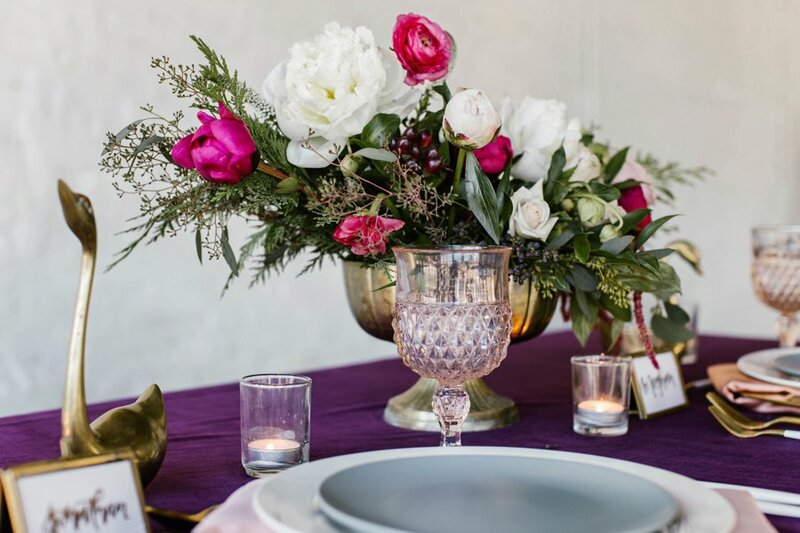 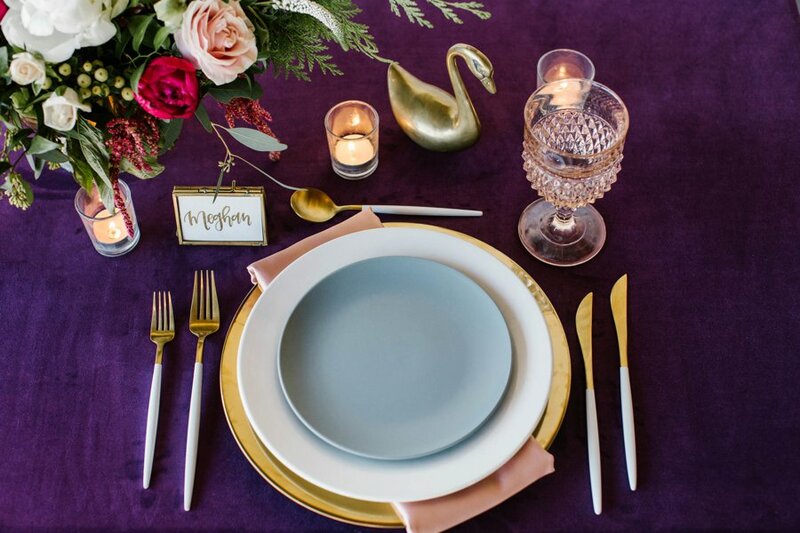 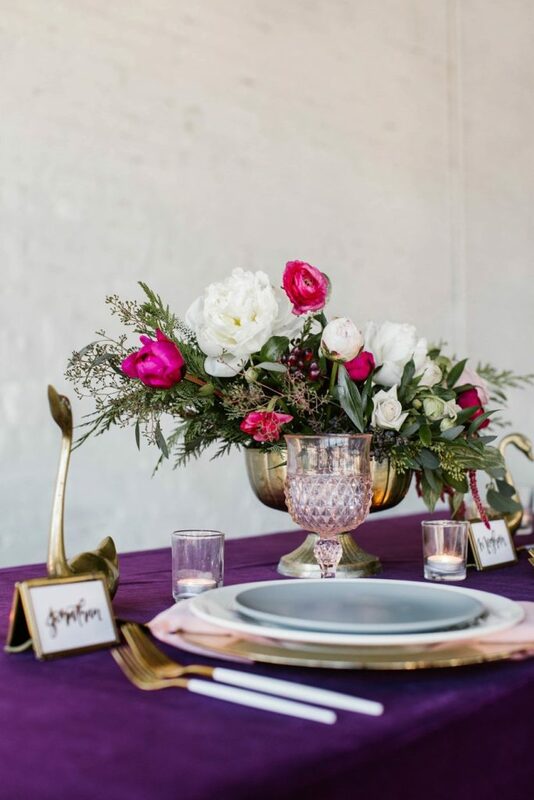 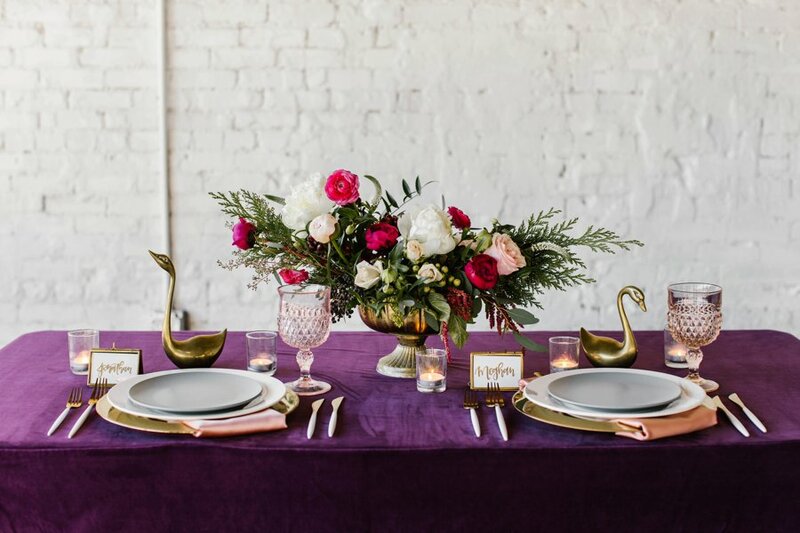 Brass swans flanking either side of the bold blooms of the centerpiece created a regal style that can easily translate beyond the Christmas season. 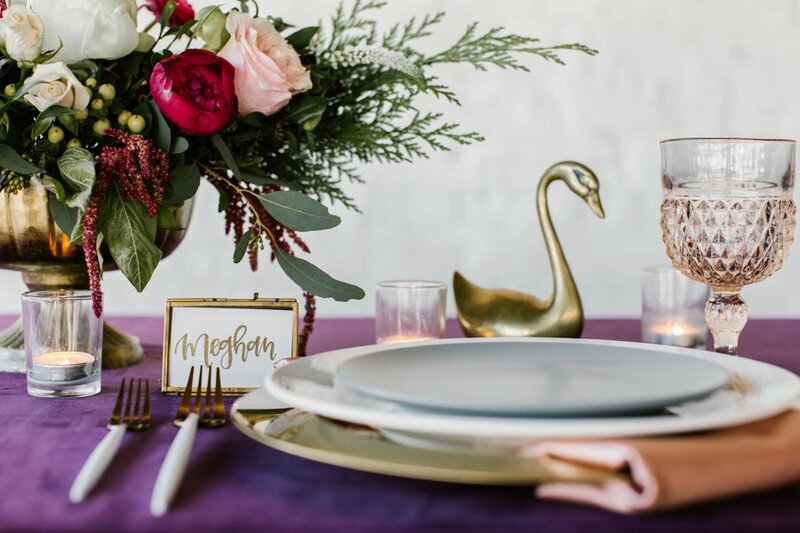 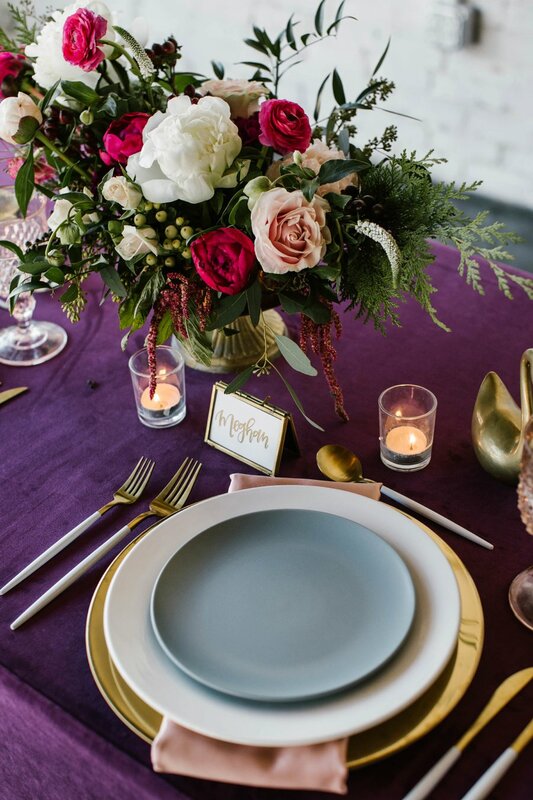 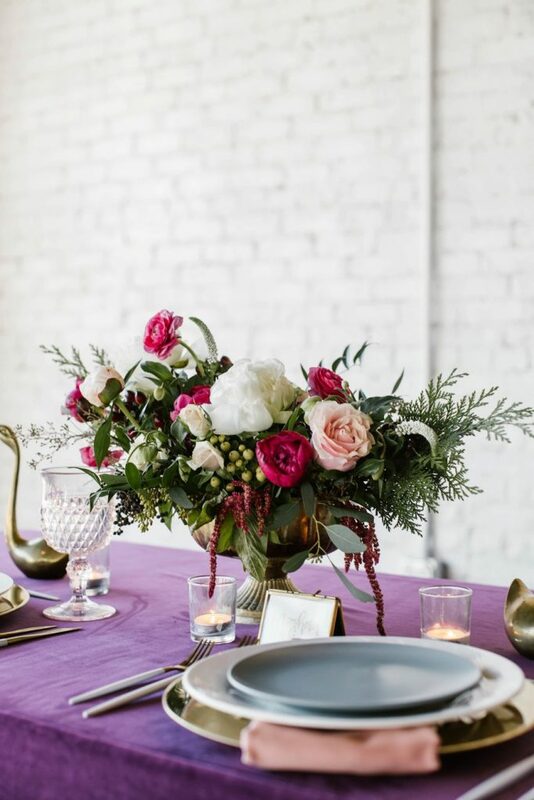 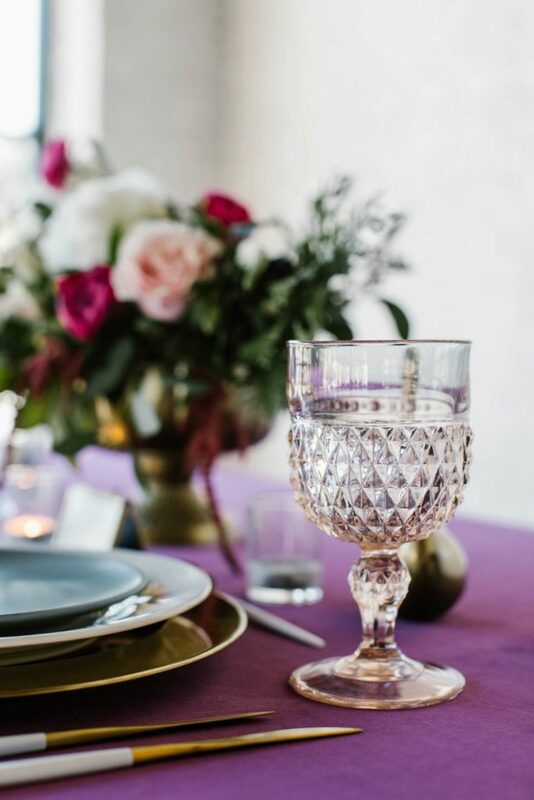 Make sure you catch the design details from Ashton Events and Treasury Rentals, and the beautiful imagery that Jenna Nicole Photography captured.